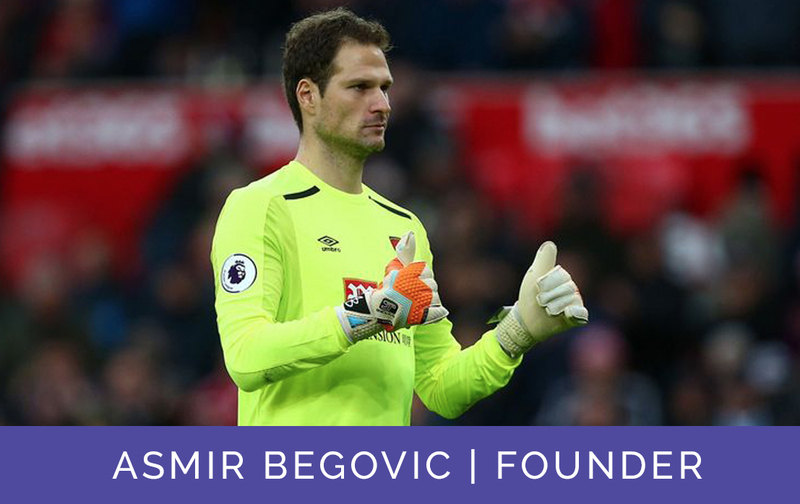 The Asmir Begovic Foundation has been started to enable both the building and improvement of recreational facilities in England, and also in my birth country of Bosnia and Hercegovina. We are very passionate about encouraging kids to be active and live a fun and healthy lifestyle, with the opportunity to partake in various sports activities. These differences can be made in the community with the support of our partners, friends, and the general public. Please have a look at our Facebook, Twitter and Instagram pages to see all our latest news and developments. I have always wanted to start a foundation to give back to the local community and also my country of birth, Bosnia and Hercegovina. I consider myself to be very fortunate in my life to play a sport that I love and has given a lot back to me for which I am grateful for everyday. I feel it is important to invest in future of our next generation. Sports have always played a big part in my family and it is something we are very passionate about. Partaking in sports and activities is a great way for kids to have fun and also learn many different skills such as interacting with other kids. I am sure we will get involved in many different projects and I am looking forward to being a part of that. I want to take this opportunity to thank everyone involved for their support with this cause and I am sure we will make a difference together.